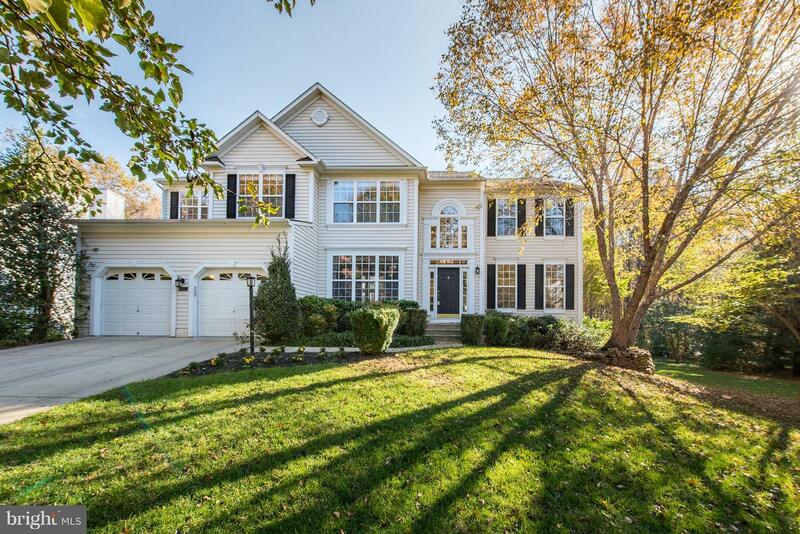 Fall in love with this exceptional turn-key home with top-notch schools! Spacious formals give way to gorgeous 2-story great room with gas fireplace & floor to ceiling cascade windows offering incredible seasonal views! Open chef's kitchen boasts stainless appliances, u-shaped island, granite counters & french door access to sunroom with cathedral ceilings! Step outside to find party-sized TREX deck with wooded backdrop! Spacious upper level offers commodious bedrooms, each with attached bath & owner's suite with 2x WIC & oversized sitting room with office or nursery potential! Finished lower level features bedroom, bonus room, media/theater & fabulous rec room with custom mahogany wet bar with granite counters offering a fun, pub-style vibe!